This project is not using any copyrighted or licensed code. By making alterations to your box you will be loosing warranty, exposing yourself to the risk of electrical shock and fire hazard, among others. You will use this information at your own risk and we are not liable for information posted or displayed which may harm you in any way. Make sure you disconnect the power before opening the case. While disconnected, the power supply still can hold enough charge that can lead to electric shock. XirRemote continuously receives all infrared signals, even if the box turned off. This is possible by using the standby power from the box power supply connector. Once the display button push was detected and the box was off, it pulls the power on button wire down for about 200 milliseconds. 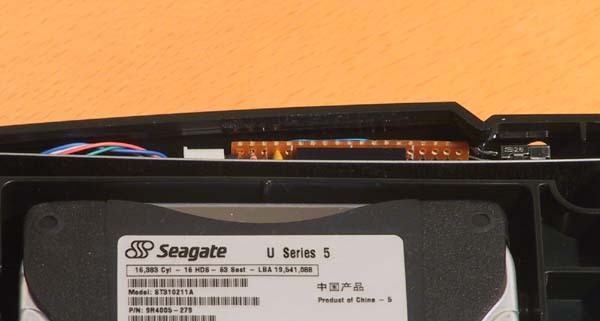 The same way, it will pulse the power button wire when 0 was pushed on the DVD remote while the box was on. There is a 5 second freeze introduced, where XirRemote will not process any code after an on or off action. This is to protect the integrity of the file system. It seems the carrier frequency does not matter too much. The box uses 56KHz, so far there was no problem with the reception using 26KHz Sharp receivers. 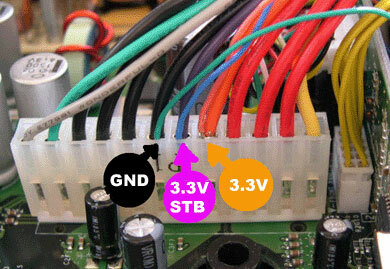 If you can't find a 3.3V infrared receiver, you can use an AA cell to boost the power for the infrared receiver only. Make sure you wire the receiver according to the data sheet. The pinout vary by manufacturer. Select your download from the table below. Use the latest version of RAR to decompress. There are several cheap and simple PIC programmers available. Use only PIC 16F628 in LVP programming mode, either the 4MHz or 20 MHz version. If you find this design and PIC code useful in your personal or professional life, please use the button above. This board has an additional LED and resistor for testing, not on the schematics. The board can be fitted between the face plate and the RF shield. Make sure there will be no shorts and it will not move later, fix it with hot glue. 5V main power and 3.3V standby power is available on the power supply connector. 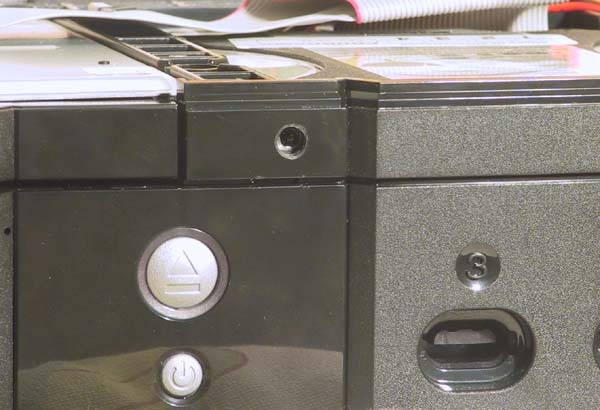 The power button pin is the second from the bottom on the front panel PCB. A hole was drilled to let the infrared receiver get the signal. It will be covered with a patch of overexposed negative film.